The end of summer always brings a flurry of activity at STM. The usual increased pace is magnified this year by a substantially increased parish investment in education and faith formation programs offered here at STM and at Ignatius House Retreat Center. The increased investment was mostly in the form of the Andy and Sarah Otto, jointly hired by STM and Ignatius House to teach and promote ways of praying that are rooted in the Jesuit traditions. One upcoming program that Sarah will direct is Meeting Christ in Prayer. This is an 8-week program designed to expose interested persons to distinctively Ignatian ways of praying. The program is offered at STM and begins Sunday, September 17, with an introductory session from 3pm to 5pm. Contact Andy Otto for more information at: aotto@stmga.org. I strongly encourage STM parishioners to participate in this program. Most parishioners probably have had little exposure to Ignatian forms of prayer. Indeed, a major part of the Archbishop’s charge to the Jesuits in giving us this parish was that we teach and promote the practice of Ignatian prayer. You can get more information on this program by emailing Andy Otto at: aotto@stmga.org. The women who participated in last year’s Walking with Purpose program, an extended Scripture study program and fellowship specifically for women, will be happy to know that we are offering the program again this year. This is a wonderful program, and it has enjoyed broad parish support. The first session met last Monday, but it is not too late to join the group. The program convenes on Mondays at 7:00pm in Mulhern Hall. Sign up. Two other Scripture study programs that STM parishioners know well are continuing. These are The Word, with Jerry Pendrick on Sunday mornings at 10:45am, and Renew, with Louanne Bachner on Tuesday afternoon at 1:30pm. Both programs take place in the parish library. No need to sign up in advance. My hope is that parishioners will be able to participate in at least one of these three Scripture study programs. One can hardly get too much Scripture. Something new this year is a Sunday morning coffeehouse. The idea is for parishioners to gather in a more relaxed, informal setting to have a conversation over coffee with a person who is particularly knowledgeable in a topic of general interest. The first such coffeehouse is next Sunday, September 10, after the 9:30am Mass (roughly 10:45am) in the Julie Room. The topic for this first conversation is Catholicism, Americanism, and Religious Liberty. The topic is timely as religious liberty is an issue of concern to the US Catholic Bishops, and it is a topic one reads about in the daily newspapers. 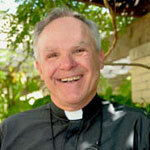 Dr. William Cossen, an STM parishioner with a doctorate in American Church History, will lead the conversation. Our hope is that this time slot, sitting between the two most heavily attended Sunday Masses, will prove to be convenient for most parishioners, especially those whose children participate in the Religious Ed program. Coffeehouse conversation topics scheduled for later this fall include The Landscape of Catholic Education in Atlanta, with Bill Garrett, the president of Cristo Rey High School-Atlanta (October 1), and a mini-series on “end of life” issues (October 15, 22, and 29). In addition to these programs being offered at STM, Ignatius House Retreat Center is offering two retreats during the month of September: Love’s Movement: From Self-Care to Service, September 15-17, led by Sarah Otto; and When God Recalculates My Journey (How to Choose the Right Path), September 29-October 1, led by Maureen Hunt. For more information on these, or to register, go to: www.IgnatiusHouse.org and click on “register.” Both these retreats happen over a weekend. See how important a weekend away can be for you and your relationship with God. Check out one or more of these offerings during the month of September. I am confident that you will feel more connected to Jesus and your brothers and sisters, and more excited to be a member of our Catholic community.